Today, tomorrow, and for as long as you live in your home. HŌM Solutions has been in business since 1997 and is among the largest, most successful and respected remodeling companies in Colorado — recognized for our committment to provide the best quality service in the industry. We have been recognized by numerous industry groups and agencies for our high-quality craftsmanship and exemplary customer satisfaction rates. In fact, we are so confident in our work that we warranty our labor for as long as you live in the home we worked on. We pride ourselves on developing an ongoing, lifelong relationship with you, our customer and spokesperson. We are so confident in our ability to get the job done right the first time that we put our money where our mouth is. HŌM Solutions doesn’t offer just a 1-year labor warranty like our competitors — knowing that even poor craftmanship can survive that long — we will warranty our labor as long as you own your home. No questions asked. We don’t want just your business, we want to earn the business of every person you know. The only way we know how to do that is by doing things right, and standing behind our work. There is no warranty card to fill out, no barcodes to cut off, no receipts to keep on file. Your records will be retained on file and easily accessible should you ever need to contact us. Our customer-driven staff will dispatch a service expert to your home and we will take care of your concern — free of charge. 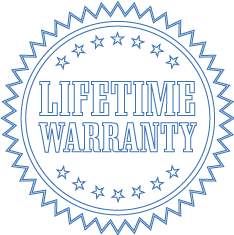 While we cannot warranty the materials used in your home, we will advocate and help you with any warranty claims you may have with the manufactures of your materials. Our only goal, and our team’s insatiable desire, is to provide you with the very best basement remodeling experience. Period.